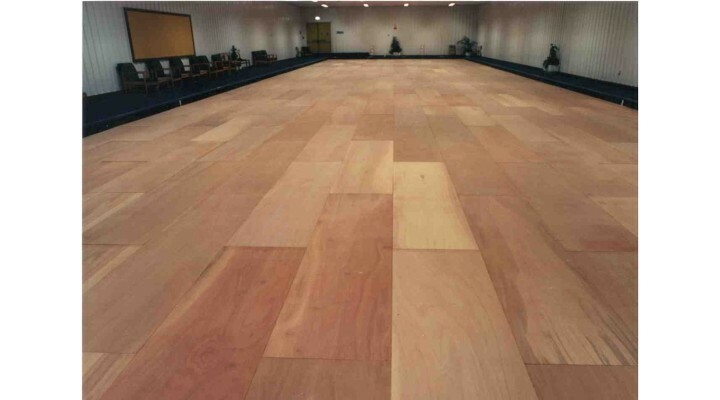 This boarded flooring system quickly covers large areas with ease. This system is suitable for marquee and indoor use and can be laid straight onto flat or uneven surfaces such as grass, gravel, sand, concrete or soil. This makes it ideal to be used outside where uneven ground inhibits the use of most flooring systems. 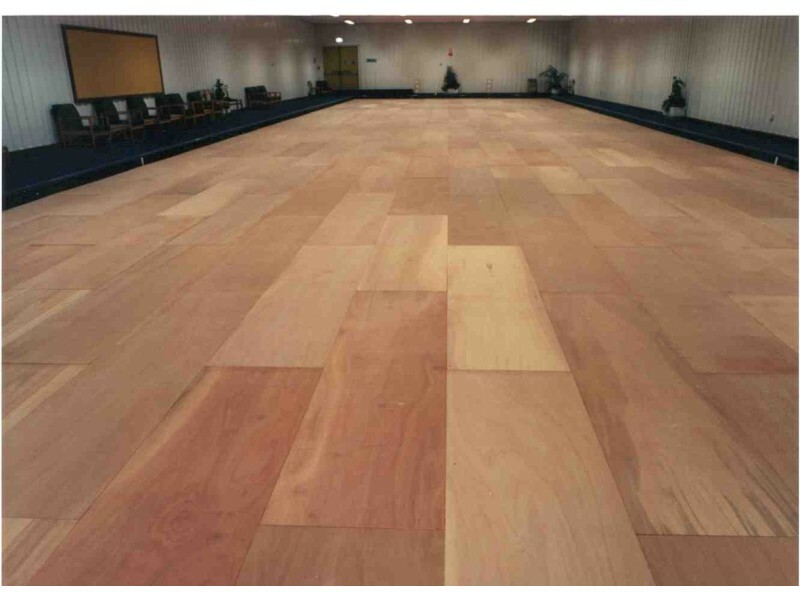 Used inside a marquee or venue, this system provides a stable base for additional flooring, carpeting or staging. This 18mm thick malaysian plywood surface is supported by timber battens with an interlocking aluminium clip. The 20mm cavity under the floor allows rain water to run underneath and away from access areas. Our 6” wide, sloped aluminium edging eliminates trip hazards and provides a gentle ramp on to the floor surface. 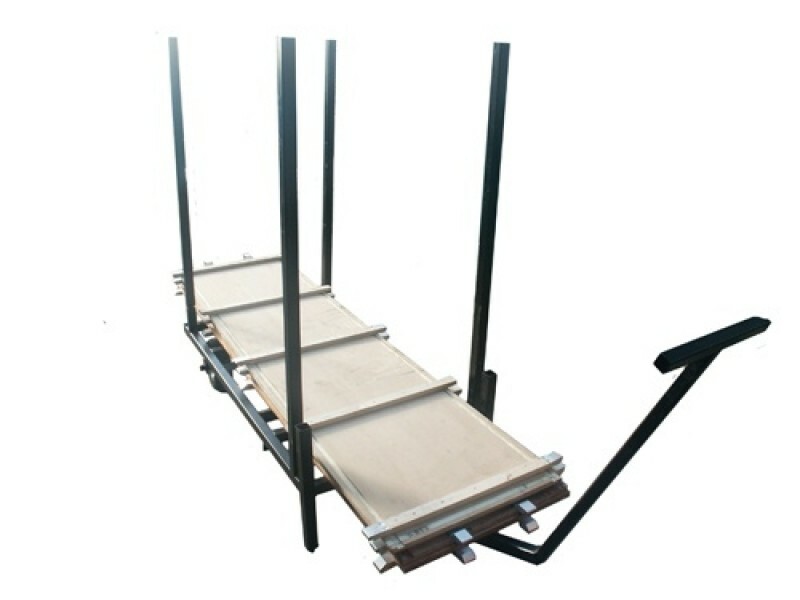 We can also make 2’ and 1’ boards to make our system suitable for metric sized applications.